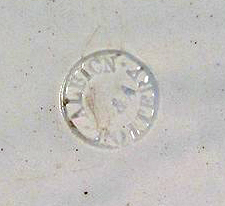 These plaques, although unmarked, are of forms associated with Maling. See the Maling plaques page for other circular, leaf‐bordered plaques. 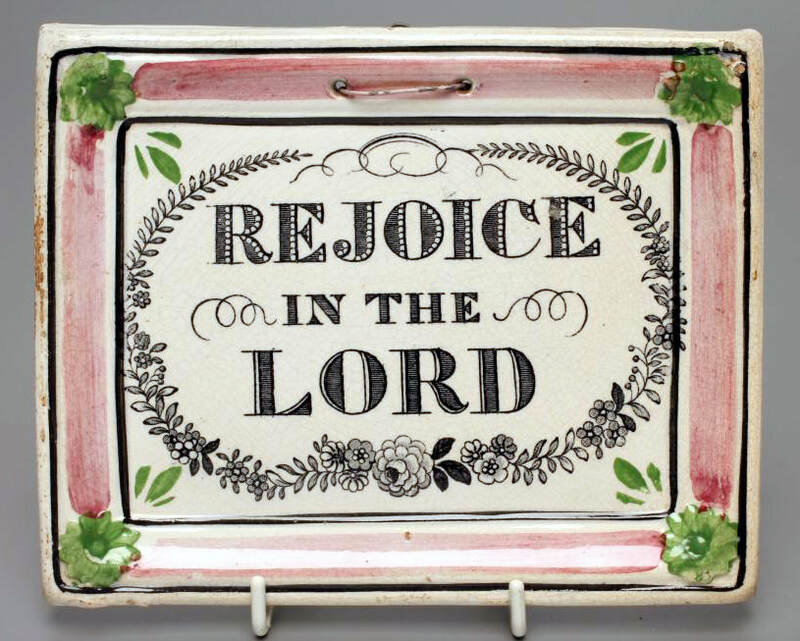 The first two plaques come from the same transfer plate as the large rectangular plaques attributed to John Carr & Sons, c1860. 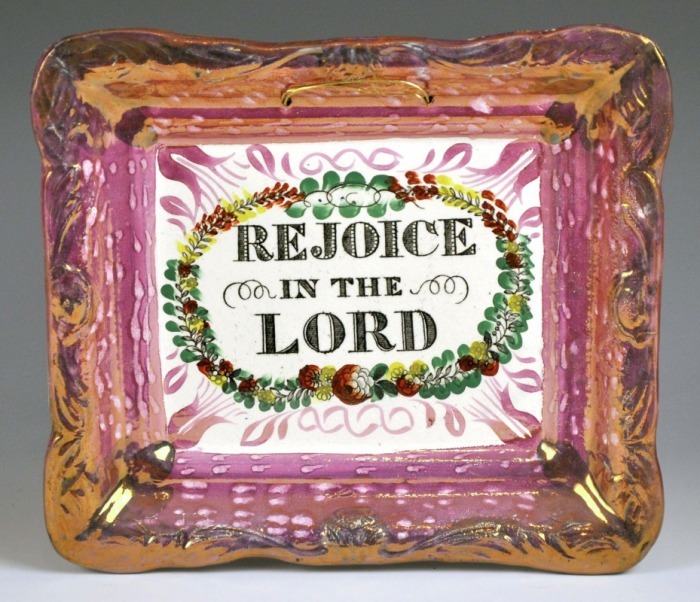 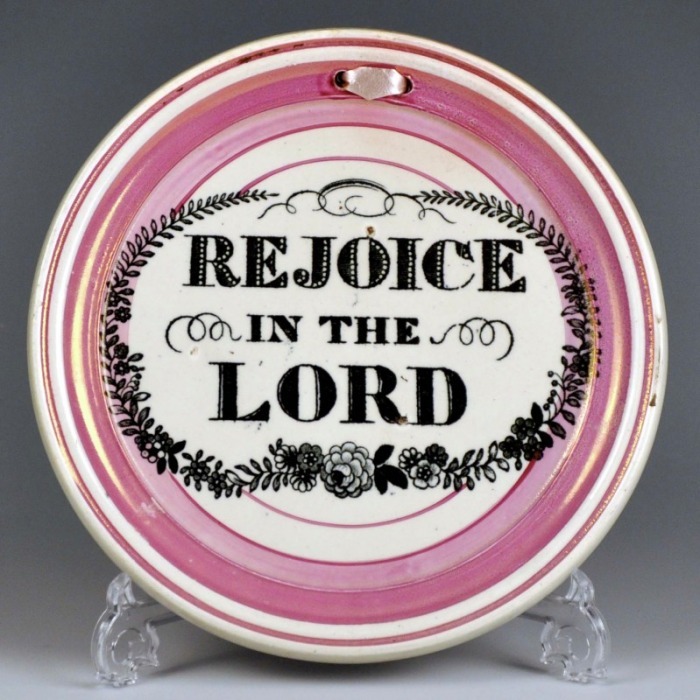 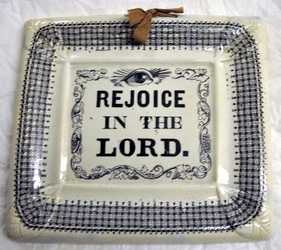 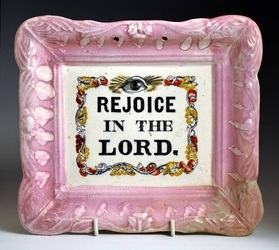 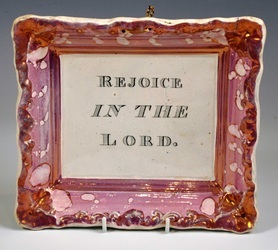 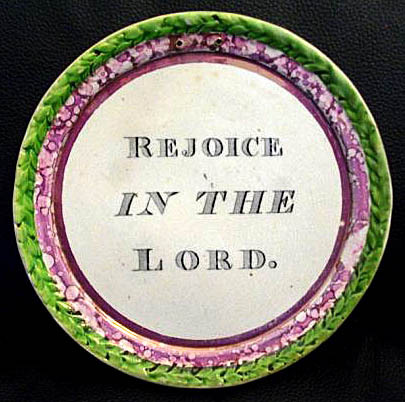 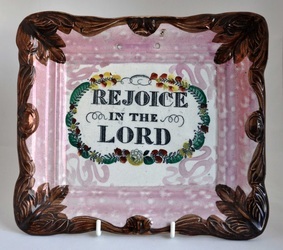 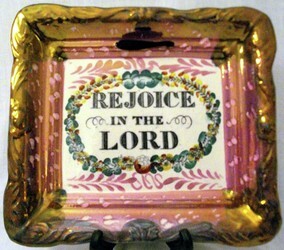 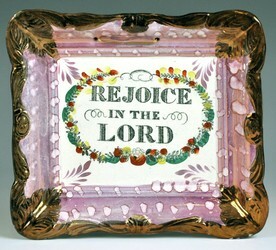 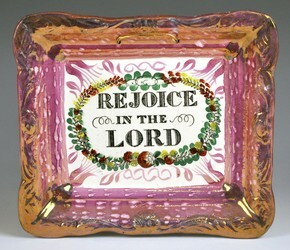 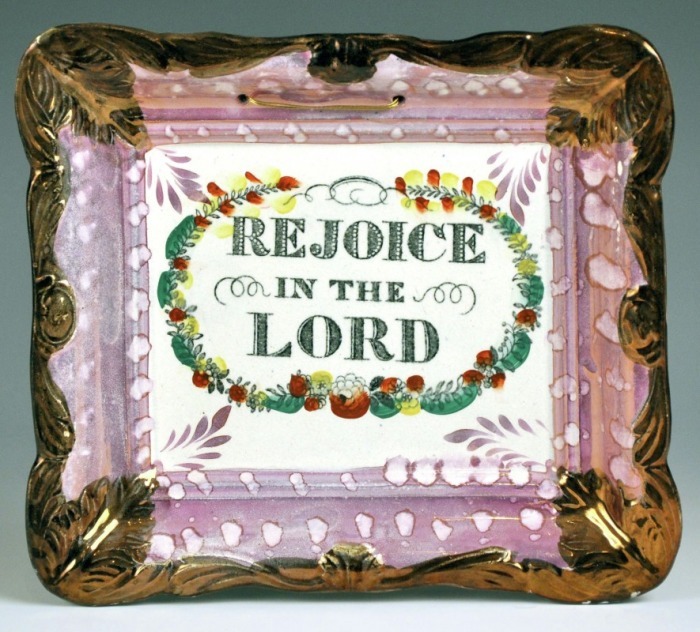 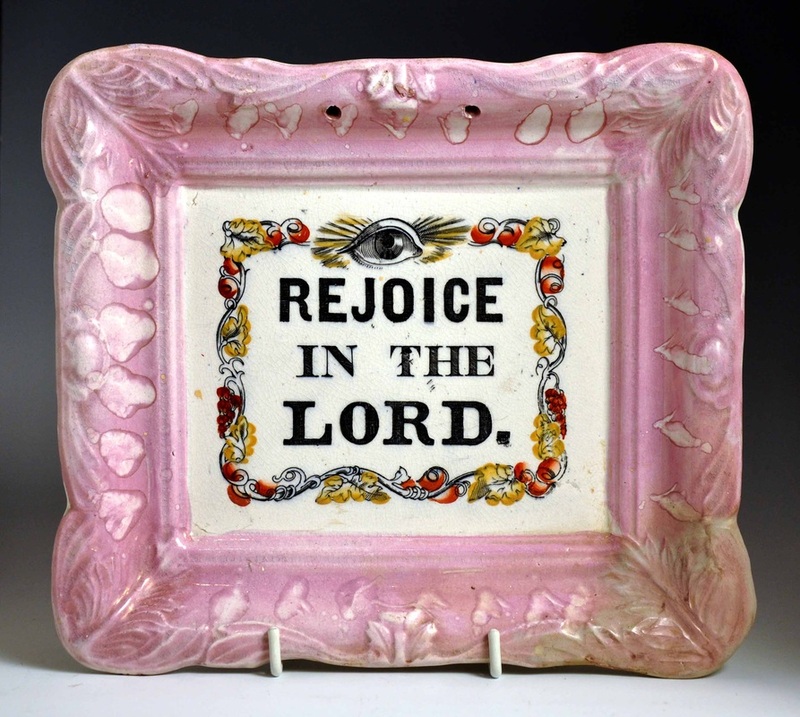 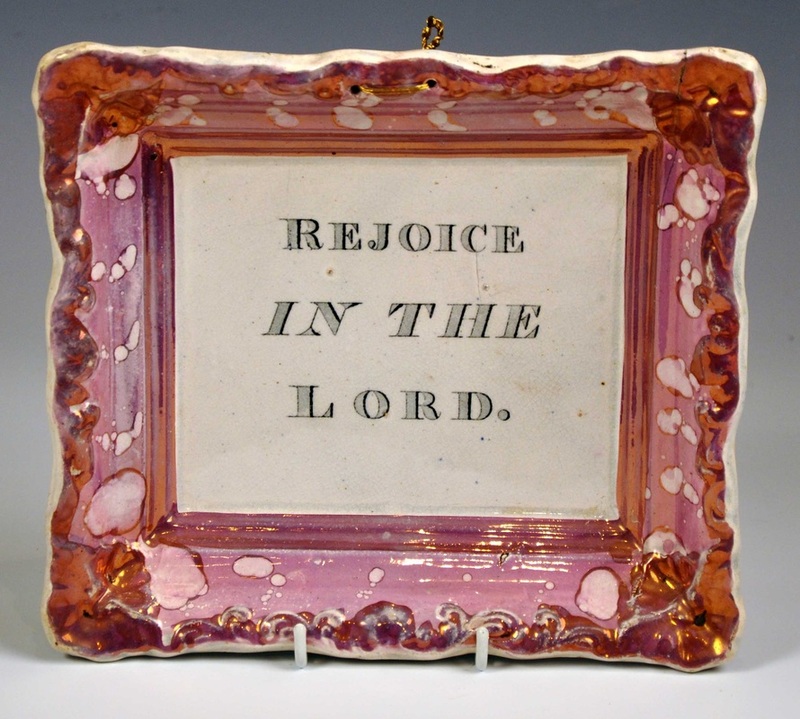 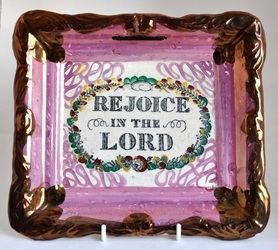 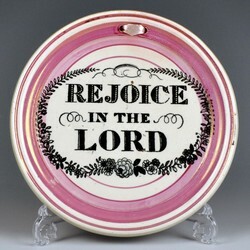 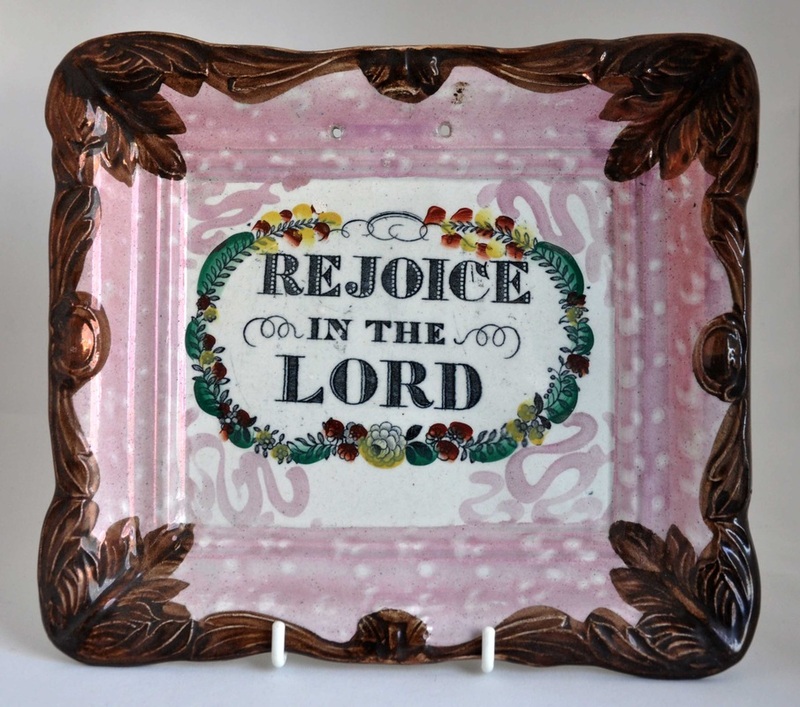 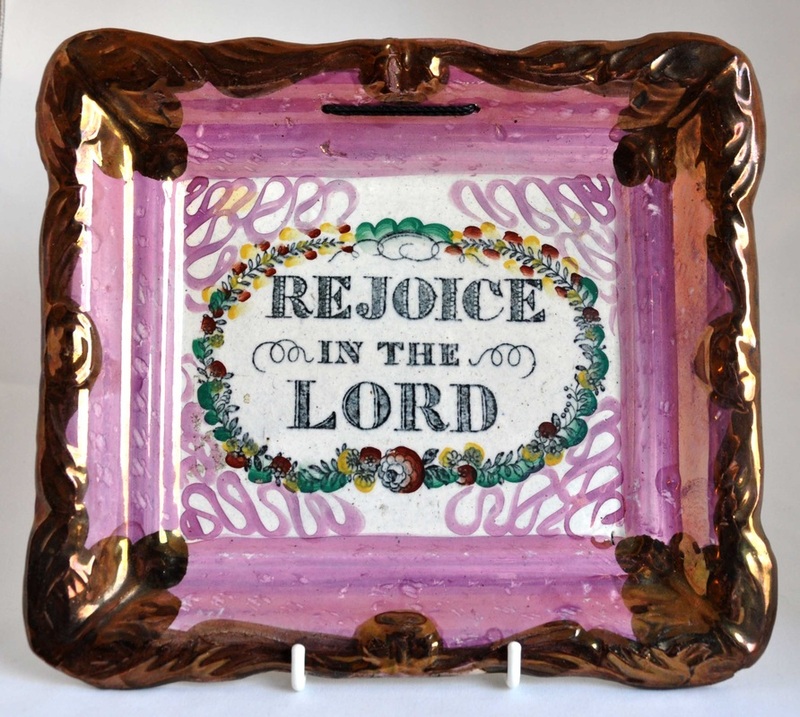 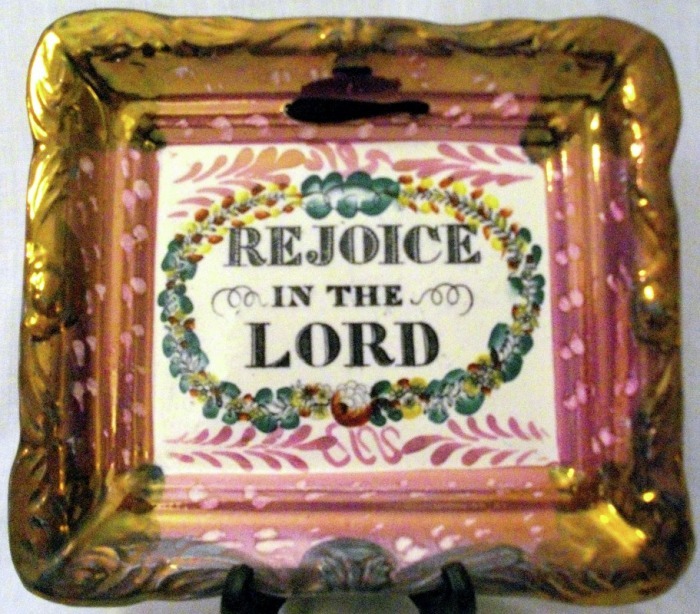 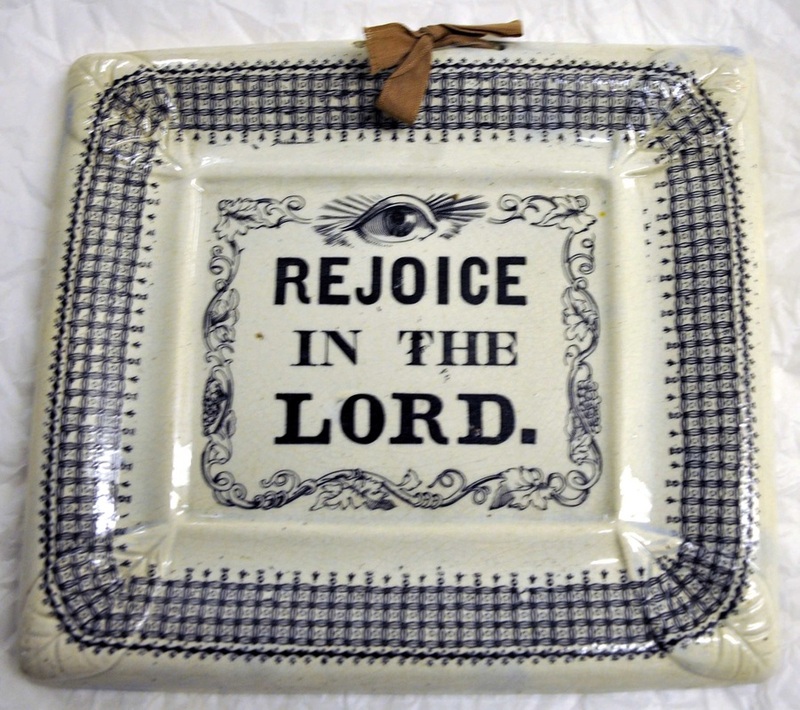 The smaller plaques were likely made in the 1830s under the partnership of Cornfoot, Carr & Co, 1832–18. 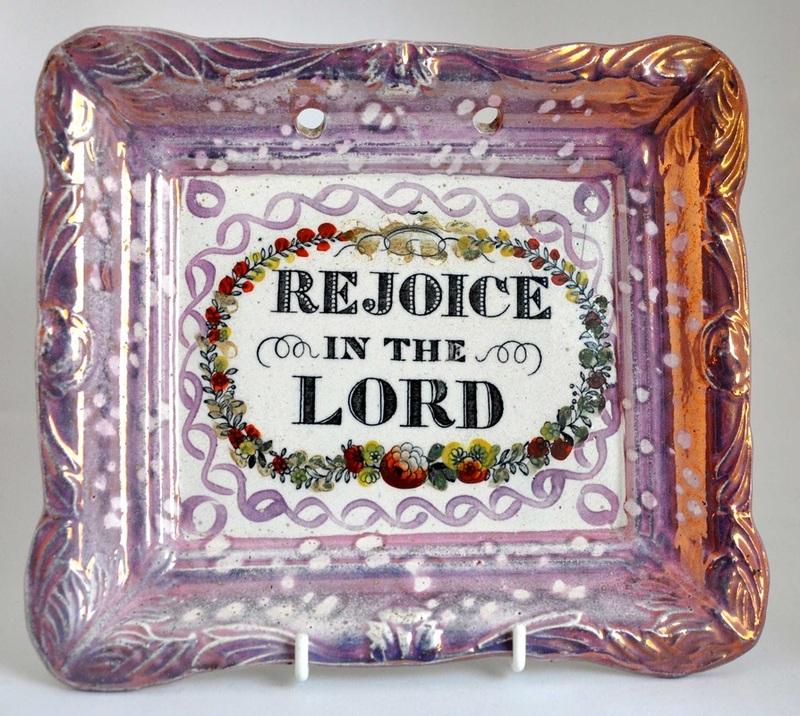 Click here to read more about the dates of the North Shields Pottery partnerships. 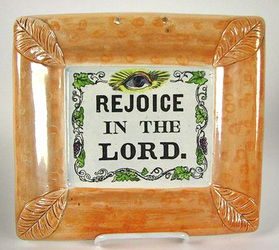 The orange plaque with impressed initials 'G & A' for Galloway and Atkinson, Albion Pottery, 1864. The bottom left plaque is typical of John Carr & Sons. 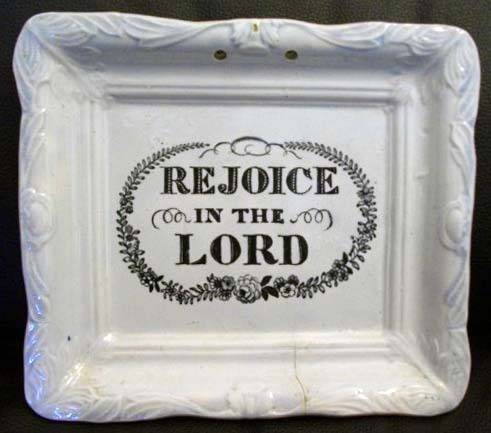 It appears that Carr acquired the transfer plate sometime after the G&A partnership dissolved.